The world’s most objective and simplest financial trading tool is now available on mobile! Introducing Ikko Trader Mobile – a rich, fully functional and dynamic mobile trading platform that allows you to trade commodities, Forex, stocks and indices and enables you to stay connected with the global market so you’ll never miss out anything. We will put the entire financial market at your fingertips thru the help of our live charts and news feeds. Anyone can trade binary options. Once you’ve entered our trading arena, there’s no turning back. 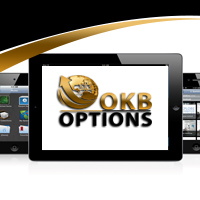 We make binary options easy and simple, and now it has made even simpler with Ikko Trader mobile. Available on App Store, Ikko Trader mobile gives you instant access to the fascinating world of binary options, wherever you are, wherever you go. Download our mobile application today! Fully functional platform – Think of it as the web-based version of our Ikko Trader trading platform. That’s it. It’s like a replica of the web version but adds more convenience on the trader’s side. It’s packed with the same trading functions featured in our web platform. Showcasing the Up/Down, One Touch, 60 second options, Options Builder and Open Platform. Wide roster of assets available for trade – Ikko Trader mobile offers a diversified selection of underlying assets, from stocks, currencies, commodities and indices. Fast-paced trading environment – Just tap and swipe, Ikko Trader mobile has an innovative touch interface that gives you that swift feeling every time you trade. Nonstop trading from wherever you go – Access and manage your trading accounts wherever you go, whenever you want it. Open and close trades with instant execution straight from your mobile phone. Experience the power of mobile trading today! One account, hundreds of benefits – You don’t need to create another account to use the mobile application. Ikko Trader features universal login for both mobile and web-based platforms. Comprehensive support features – Whatever help you need, Ikko Trader mobile got it all for you. From educational trading resources to customer support, all the necessary information can be accessed in just a few taps and swipes. Deposit and withdraw funds in a flash – Even if you’re on the move, you can transfer your funds within a few minutes. Simply choose from our wide array of safe, prompt and hassle-free banking options and you’re done! Available for iOS devices – Exclusively available for iPhone and iPad, Ikko Trader mobile lets you experience the convenience of profiting from mobile trading anytime, anywhere. It’s free and always will be – Our multi-functional and innovative mobile trading app is absolutely free of charge to Ikko Trader clients. No commissions, no hidden charges and no spreads. View your full trade history – And the rest of your expired options. Ikko Trader mobile gives full access to your previous trades as well as past expiries of your option. All transactions and trades made are compiled in an archive for your reference. This cutting-edge mobile platform features complete functionality of our web-based platform. It gives you total accessibility, allowing you trade on the go. You can now execute your trades effortlessly and conveniently, so seize the moment, and join Ikko Trader now!